Event 534 is logged on the workstation or server where the user failed to logon. 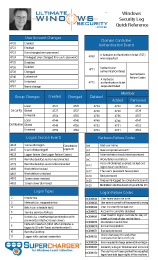 To determine if the user was present at this computer or elsewhere on the network, see the Logon Types chart in event 528. Event 534 is logged on domain controllers only when a user fails to log on to the domain controller itself (such as at the console or through failure to connect to a shared folder). On workstations and servers, this event could be generated by an attempt to log on with a domain or local SAM account. In the latter case, there will be a corresponding failure event from the Account Logon category. To identify the source of network logon failures, check the Workstation Name and Source Network Address fields. Logon Process and Authentication Package will vary according to the type of logon and authentication protocol used.